A breathtaking escape on Lake Maggiore! Situated to the second floor of a brand new luxury residence this beautiful property makes for the perfect self-catering stay for up to 4 guests. Inside a spacious air-conditioned open plan living and dining room is the perfect place to recuperate and entertain with a comfortable sitting area with flat screen SAT TV and WIFI access and a contemporary dining area for up to 4 guests. The fully fitted kitchen is perfect for preparing meals with all the desired appliances including an electric hob oven, toaster, coffee machine and dishwasher. Guests can enjoy alfresco dining on the private covered terrace which provides fantastic lake views and easy access to the fabulous resident Lido. The sleeping accommodation is ideal for groups up to 4 with a bright and spacious king size master bedroom enjoying direct garden access and a second spacious bedroom furnished with 2 single beds. A contemporary bathroom fitted with power shower, wash basin WC, bidet and washing machine provides convenience during your stay and a private garage is also provided with the property. The residence provides guests with luxury onsite facilities to make your stay as relaxed and enjoyable as possible with a panoramic lakefront Lido featuring an outdoor swimming pool, large Jacuzzi and a sunny poolside ideal for sunbathing. A stylish cafe bar also provides a place to relax with a cappuccino, socialise with an aperitif and romantically dine under the stars. An onsite management office and resident car park is also provided on site. Boat mooring rental in the residence arbour 40.00 eur per day. A scenic promenade passes the residence below and provides the perfect route for jogging and walking with it leading to the tranquil lakefront park of Maccagno. Guests can also enjoy rock wall climbing, tennis, volleyball and water sports at the nearby La Darsena Sailing club. Hiking and cycling can also be enjoyed in the surrounding hillside. Skiing can be enjoyed in just an hour away in the Swiss Ski resort of San Bernardino and the Italian Swiss Lake district also boasts extreme sport centres, sea plane rides and adventure parks. Local amenities are all close to hand with a supermarket, cafes and bars all located in Maccagno old town. The picturesque resort town of Luino is just a 3 minutes drive away boasting a wide variety of amenities including a train station and a frequent car and passenger ferry service from its harbour front. The cosmopolitan city of Lugano is just 40 minutes drive away and provides the perfect day excursion or evening out with elegant cafe-lined piazzas and shopping boulevards and trendy restaurants, bars, casinos and nightclubs. 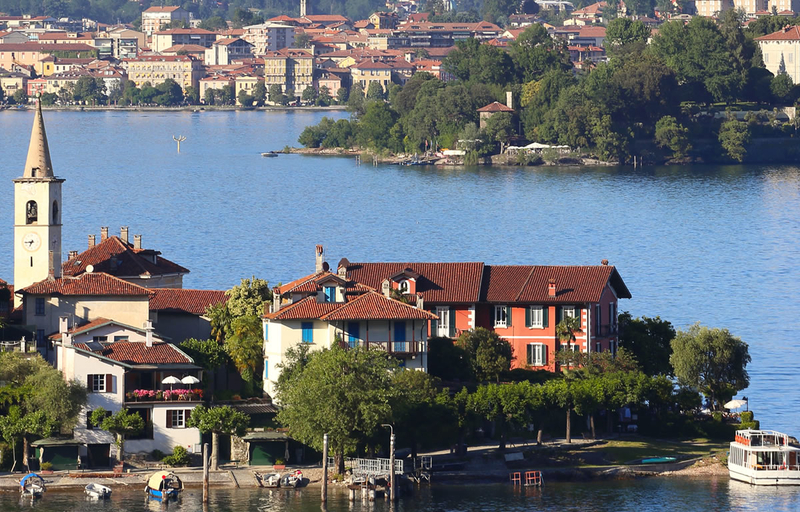 Milan is also easily accessible from Lake Maggiore and the nearby lake attractions of Isola Bella, the Borromeo Islands and Angera Castle will mean there is plenty to explore and enjoy during your stay!